SILVER SPRING, Md. --- Adventists everywhere have been given 24 hours to sign a 14-page document professing agape love for carob. The document is full of confusing legalese promising "serious consequences" for those who do not sign the document. Thousands of members have said that they can't, in good conscience, sign the document as they absolutely hate all things carob. "Not only do I find carob to be absolutely disgusting but I have also tasted a far better alternative: chocolate," said Emi Nemm, a Danish Union representative. "You guys can't just spring these kinds of requirements upon us. Nobody in my part of the world will ever want to bake with carob." Pacific Union Conference spokesperson Holly Wood spoke up saying that the 14-page document had left a bad taste in her mouth that was almost as bad as a carob chip cookie. "Carob has nothing to do with my relationship with God or the effectiveness of my ministry," said Wood. "If you keep pushing this we could end up alienating half the church." Lol! Yup, I won’t be in the 144,000 carob lovers category. Woe is me! Well, I will be. I actually LIKE the taste of carob, and so do my kids! If you don’t compare it to chocolate or don’t try to view it as a substitute for chocolate, and just savor the flavor in its own right, you might enjoy it. You’d be in good company, as some scholars say John the Baptist lived on carob and honey. This is a clever spoof on the GC Executive Committee’s attempt to make members sign a 14-page document pledging loyalty to Pres. Wilson’s misguided ideas about “unity” (read: forced acceptance of his Catholic-inspired anti-women’s ordination views). OH, how I love carob, Oh, how I love carob..Oh how I love carob, it was love at first taste for me!!! Carob is nature’s way of playing a dirty trick on us. YUCK! 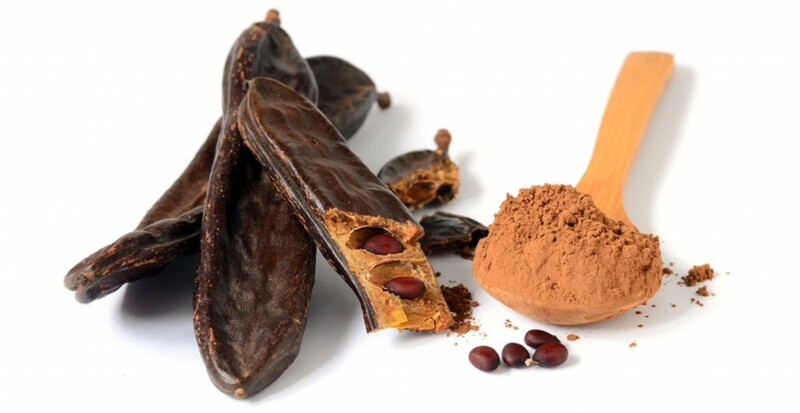 If you like to eat chocolate covered chalk that’s what carob tastes like. Dispose of carob like the baby bath water. Give Little Debbies anytime! This past weekend, during the anniversary celebration broadcast for 3ABN Russia, it was announced that 3ABN founder Danny Shelton has married Yvonne Lewis (director of the 3ABN Dare to Dream network). This is Danny’s third marriage, following failed unions with Linda and Brandi. Back in 2012, 3ABN tried to squelch the “rumors” that Danny and Yvonne were dating and were planning to marry. Now it is official: they are husband and wife. And Danny’s wife is lucky, as he is a wealthy man from royalties of his 10 Commandments book sales, which has sold more than 5 million copies, according to court papers ( http://bit.ly/2goFWtE ). Cheers to the newlywed couple! It’s actually his fourth 4th marriage. He was married to another woman before Linda. The first wife (Melody’s mother) died in an accident. Brandy was his third wife. I can already predict who will be the fifth wife. Probably Hitlary Clinton, after she divorces Slick Willy.